Life in the Save Leith Hill camp in Coldharbour Lane. Europa Oil and Gas company has got license to drill for oil in the woods near Leith Hill. 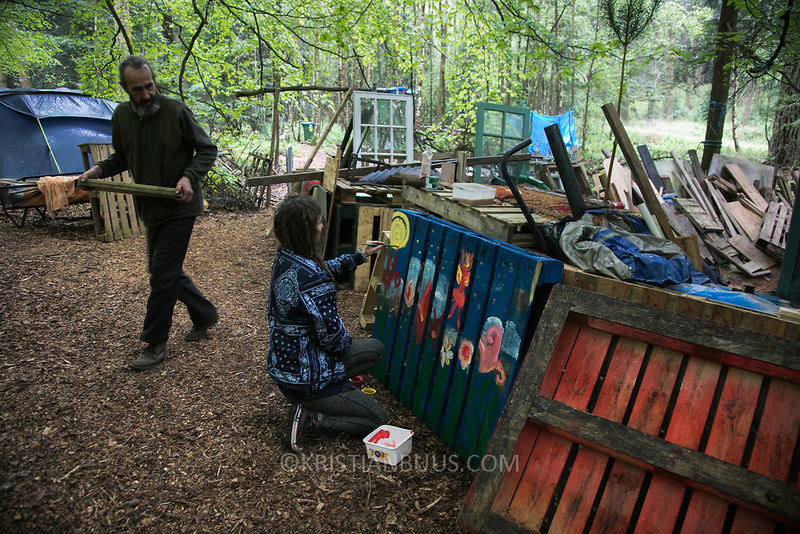 Proetctors of the land, a group of local campaigners against the proposed drilling and activists have set up a community camp on Coldharbour Lane to protect Leith Hill from the unconventional oil exploration, through monitoring, awareness raising, and peaceful community action.